Rajnath Singh will explore two crucial issues in Kashmir - the possibility of extending the Ramdan ceasefire and talks with the Hurriyat. Rajnath Singh is on a two-day tour of Jammu and Kashmir. 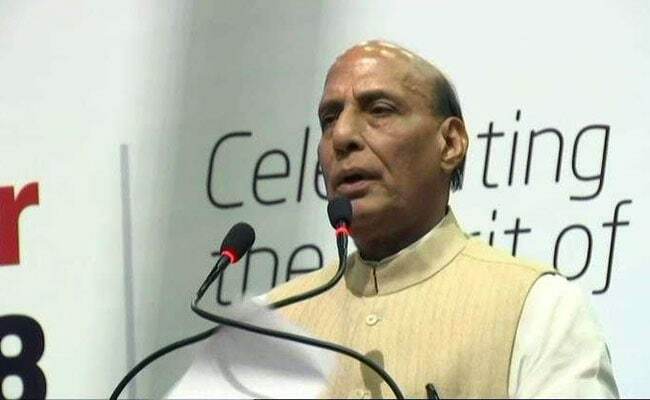 Union minister Rajnath Singh, who is visiting Jammu and Kashmir in wake of a series of terror attacks and ceasefire violations, said the government has a "lot of love" for the state. The minister will review the security situation and explore two crucial issues -- the possibility of extending the Ramdan ceasefire and talks with the separatist group Hurriyat. Since coming to power, peace in Jammu and Kashmir is seen as one of the key focus areas of the NDA government. There has been a continuous attempt to steer the discourse in the state from terror to development and growth along with the rest of the country. At a youth convention organised by ally People's Democratic Party or PDP, the minister said the Narendra Modi government "has a lot of love for Kashmir... We will change the face (tasveer) and the destiny (taqdeer) of Jammu and Kashmir... I assure you all". 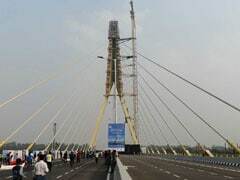 "I assure you that we will do all that we can... and even a bit extra to ensure that our brothers and sisters in Jammu and Kashmir progress with the rest of the country," the minister added. But the government's efforts had suffered a setback, with the killing of terrorist Burhan Wani, with an upsurge in stone-throwing protests for six months and an increasing number of local youths joining the ranks of terrorism. While offering development to the people of the state, the government had taken a tough stand on terror, conducting a series of operations to flush out terrorists from the countryside of south Kashmir. The ceasefire was offered last month in response to a request from Chief Minister Mehbooba Mufti. Mr Singh tweeted to say that it was meant to "help the Muslim brothers and sisters to observe Ramzan peacefully and without any difficulties". But since the ceasefire was announced, there have been two attacks on Army camps and several others on police posts, which have claimed the lives of a soldier and a policeman. Besides, 14 grenade attacks took place in which 40 persons, most of them civilians, were killed.